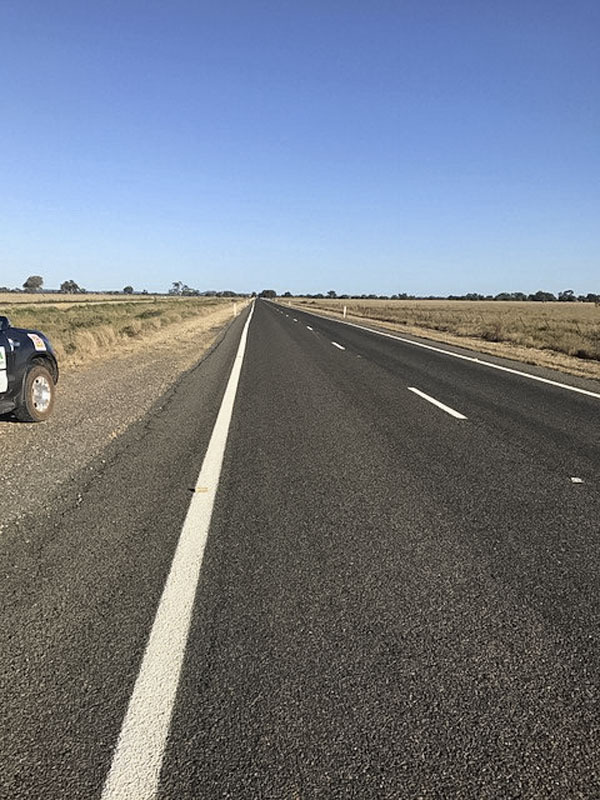 Heading out on the long stretch to Lake Cargelligo. Day 4 and the team headed out early from Yarrabandi heading to Condobolin. 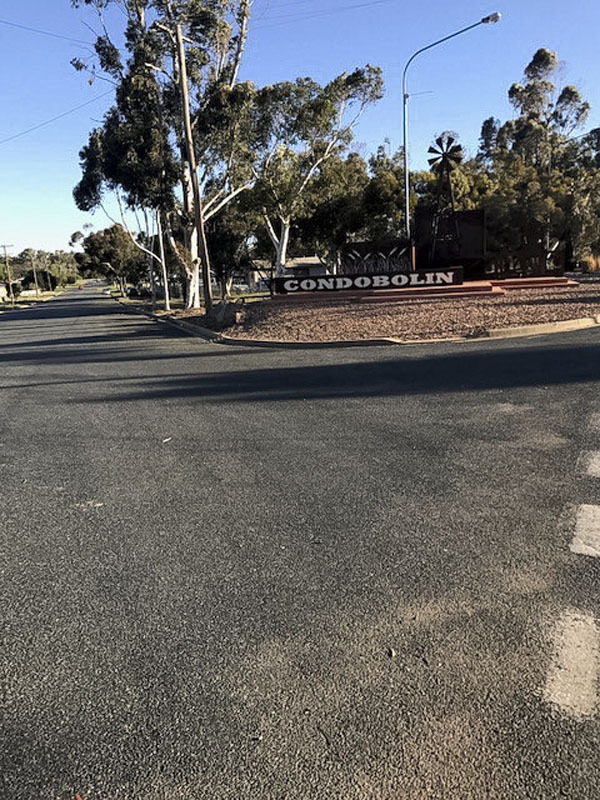 Bill was joined this morning by Condobolin AGnVET Manager Brett Honeysett and Andrew Walker who again hit the road. 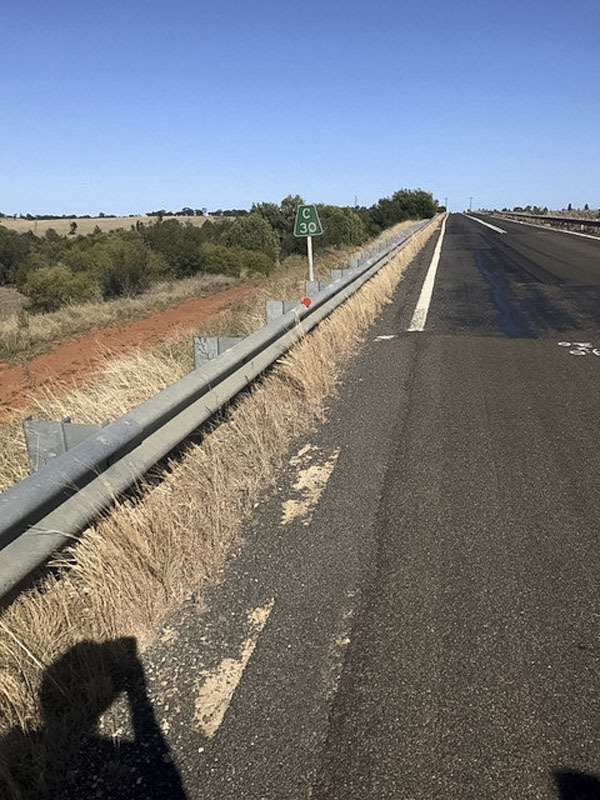 Heading into headwinds of around 45km’s/hour made it a hard slog today. 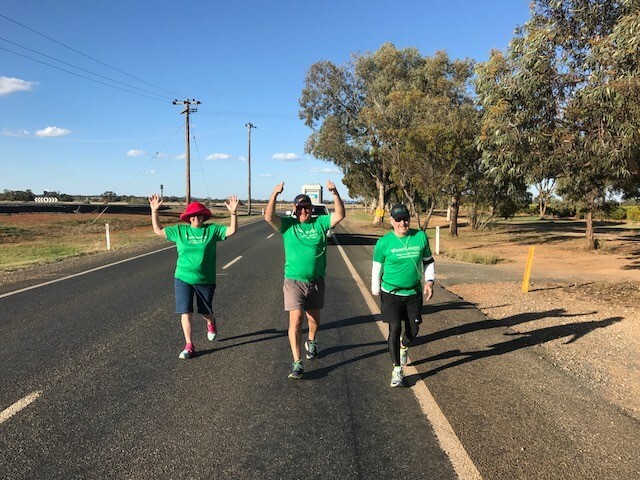 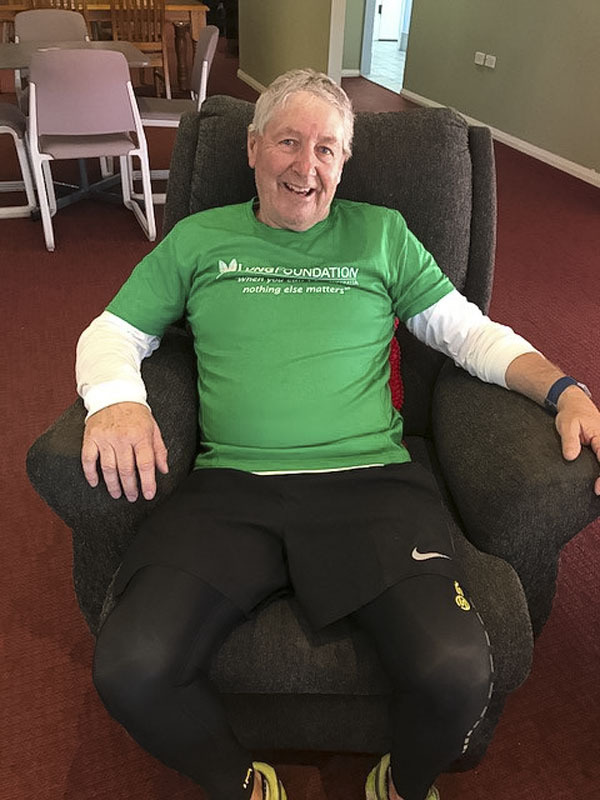 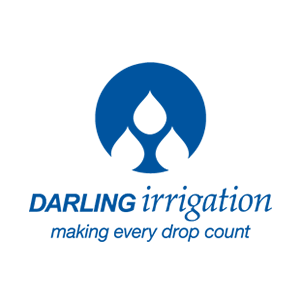 Kim Jones , the publican at the Railway Hotel, Condobolin joined the walk and welcomed Bill and the support crew into Condobolin. 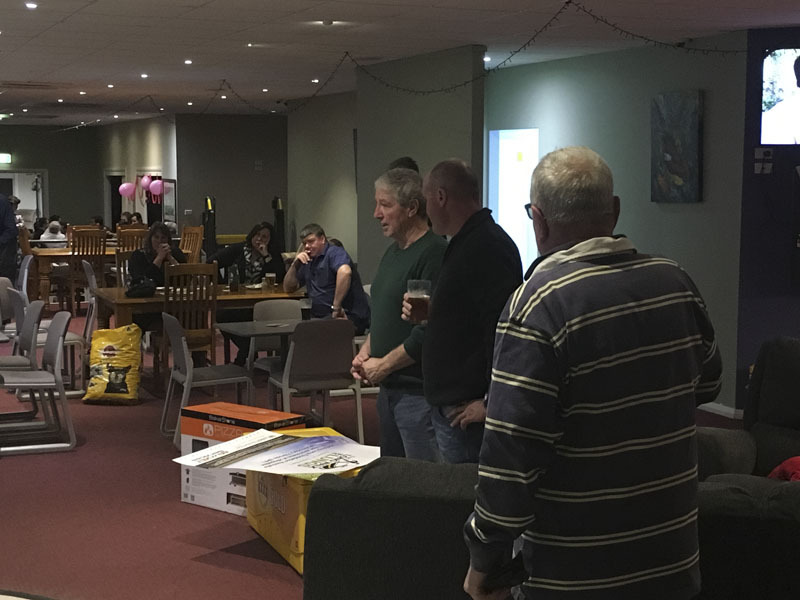 After a brief chat by Bill on IPF, Lung Foundation Australia and lung disease Kim and the patrons of the Railway Hotel swung into gear and raised over $1,100 through auctions and donations for The Long Walk for Lungs. 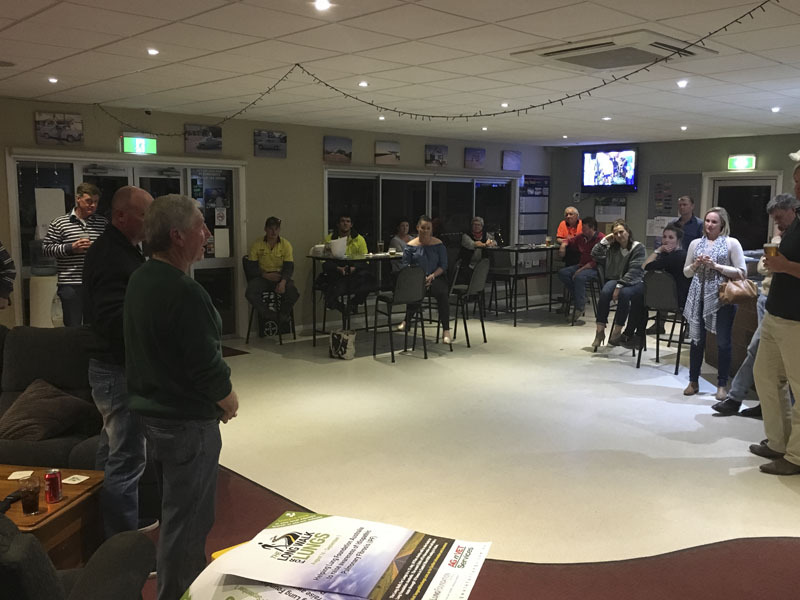 A very big thank you to everybody who joined us last night at The Railway Hotel, thanks for hosting us Kim.